The reason is that the -400 is a larger (wingspan etc) than earlier models so different abbreviation was needed for use on flight plans and other ATC data to let air traffic controllers realize that they are dealing with a bigger airplane. Other airlines is also using the abbreviation or code in their fleet lists and in-flight magazines. We will pick the Boeing 747-400 as an example. The Boeing 747-400 is considered a wide body. 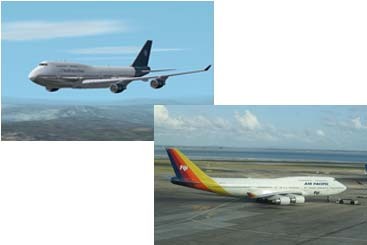 It has the following variations 747-400, 747-400ER, 747-400F.